So you’ve moved (or are moving) to Singapore. Fantastic! 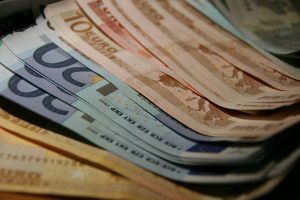 And of course, one of the issues about becoming an expat is that there’s going to be times when you’ll need to exchange currency to or from Singapore. You can use a currency exchange bureau (like Travelex or similar – you know, the companies that run the booths at airports and in cities around the world). You can use a foreign exchange broker. Hold on a moment. Stop right there! Because when it comes to exchanging currencies, you stand to lose (or gain), a lot of money depending on the method you use. …cost you an awful lot of money! Exchange bureaus provide terrible rates and usually charge a commission. This method of currency conversion should be discounted immediately, as changing up any amount of money (small or large) with such a service always sees you losing out. Charges for any ‘extras’ – such as using a third party bank during the transfer (a common practice) for which YOU pay the fees. So, taking the exchange bureaus and banks out of the equation, this leaves us with one other option: the FX Broker. What is an FX Broker? In short, these are non-banking companies that buy and sell currencies (that’s how they make their money). But in addition to this, they offer currency exchange facilities to both individuals and businesses. And the beauty of using such a company to carry out your currency exchange is that they provide you with near perfect conversion rates. In a nutshell, using an FX broker can cost you between 3-5% less than going through your bank. And if you’re changing up regular sums of money to or from Singapore Dollars, this can represent a substantial amount of your hard earned cash. … those are the three main reasons for using an FX broker for your currency exchange. The following companies are ones we’ve used personally (or have had recommended to us by people we trust), that consistently offer good rates, provide superb customer service and have excellent security and safety records. Each FX broker listed is authorised by the FCA (UK Financial Conduct Authority), has been in business for a good number of years and consistently receives 5 star ratings on the review site, TrustPilot. UK based HiFx is one of the best major UK non-bank foreign exchange companies. They were set up in 1998 and recently purchased by major US payment company, Euronet Worldwide. They use the same Norton security methods used by most of the world’s largest banks – so you can rest assured that your money transfer is safe with these guys. The Richard Branson backed, TransferWise, has been providing a currency exchange service to businesses and individuals since 2011. Based in London, you can carry out transactions online or via the phone, and you’ll always know the exact rate of exchange you’ll be getting BEFORE you make the transfer. Torfx have been in the foreign exchange business for more than 10 years. Winners of awards such as the ‘Consumer Moneyfacts Best Customer Service’ and the ‘International Money Transfer Provider of the Year’, the firm offers services such as fixing exchange rates up to 2 years in advance, online services 24/7 and having a Personal Account Manager with whom you can discuss your currency exchange. FC Exchange pride themselves in providing the personal touch. In addition to allowing you to set up regular payments, they’ve secured exchange rates well into the future, giving you the safety net of knowing that whatever happens to the world’s currencies, you’ll be guaranteed the best conversion rate. And in the volatile times we live in today, this can really provide peace of mind. OFX has been around for about 17 years (they were formerly called UK Forex). They’ve taken ease of use to a different level, offering the choice of setting up your exchange via phone 24/7, on their website or by downloading their mobile app. They also work with over 55 different currencies – one of the largest of any of the FX brokers around today. Currency Solutions came into being in 2004 and have since gone from strength to strength. In fact, they’ve been ranked at the number 1 position for 3 years on the review site, TrustPilot. They offer currency exchange rates that way outrank those offered by the banks. In addition, you can set up regular transfers, and even fix rates for those in the future. They are also regulated by HMRC (Her Majesty’s Revenue and Customs). Apart from the obvious advantage of cost (because who doesn’t want to get the very best value for their money? ), there are other advantages of exchanging your money using an FX broker service. The ability to set up your conversion at any time of the day or night. Just because it’s office hours in your location doesn’t mean it is elsewhere. So the 24/7 option is vital, in our humble opinion. Your transaction will be tracked – and you’ll receive status updates every step of the way. That way you know exactly when the money hits your bank account. The ability to set up regular payments (such as those for mortgages, rents or other bills) and fix an exchange rate so you know exactly what you’re paying out. 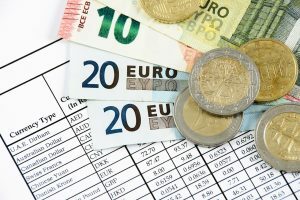 This makes budgeting your money so much easier – especially with the volatility of exchange rates at present.